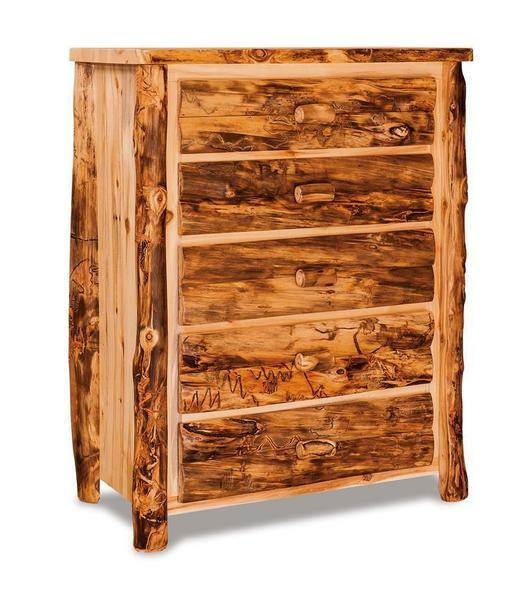 This Amish handcrafted rustic looking chest of drawers has five durable dovetailed drawers on full extension drawer slides providing plenty of storage space with easy access to the entire drawer. Also, choose to upgrade to our soft closing drawer slides that softly close with just a touch. The soft closing drawer slides are well worth the money! You can order this chest of drawer in rustic pine, aspen or red cedar wood unfinished or varnished. Call toll free today for additional information or custom ordering assistance!